The TP160 is designed with progressive engineering and high quality materials to reproduce beautiful music and theater compositions, while reaching sonic brilliance. The TP160 is a 2-way tower speaker ideal for rooms in need of a great sound. 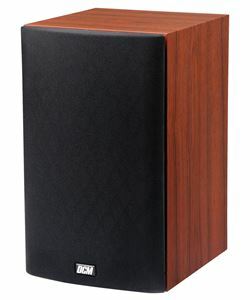 This speaker guarantees high quality by bearing the DCM name. As part of the TimePiece series of speakers, the TP160 is second to only DCM's TimeFrame Evolution series when it comes to superior sound and top notch engineering. 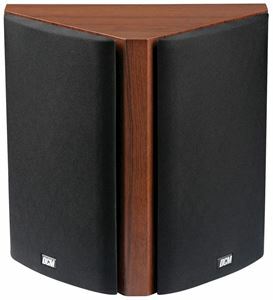 The Time Piece 160 are floor standing speakers that offer a slim and stylish accent to any room thanks to a dark cherry or black finish and thin tower width. Their sleek stature never sacrifices reproduction quality as progressive engineering and high quality materials help the speaker to always produce sonic brilliance. Made with a Kevlar woofer for a more durable cone and faster bass response and a silk dome tweeter for pristine high frequencies, the TP160 provide outstanding dynamics and clarity. In 2-channel systems, the TP160 creates the illusion of a live performance. Superior imaging and a wide, natural dispersion give the music a chance to breathe. In multi-channel systems, the TP160 can work as high efficiency front or large room rear channel speakers in any home theatre. Their dynamic capabilities provide exact sound reproduction. And when used in a full DCM TimePiece and TimeFrame Evolution system, the symmetry between models creates a remarkably realistic experience.